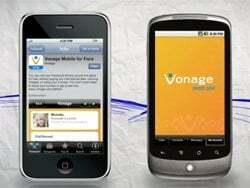 Vonage announced results for the first quarter ended March 31, 2012. Reflecting the company's previously stated plans to increase investment in its strategic growth initiatives, Vonage reported adjusted earnings before interest, taxes, depreciation and amortization of $32 million. Vonage has just introduced the Vonage Mobile application for Facebook, a new service that allows users to make free mobile calls to all of their Facebook friends who have the app, anywhere in the world, directly from their friends list.